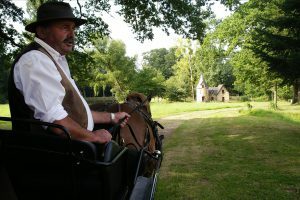 Strolls are commented and told by Michel, coachman and guide. 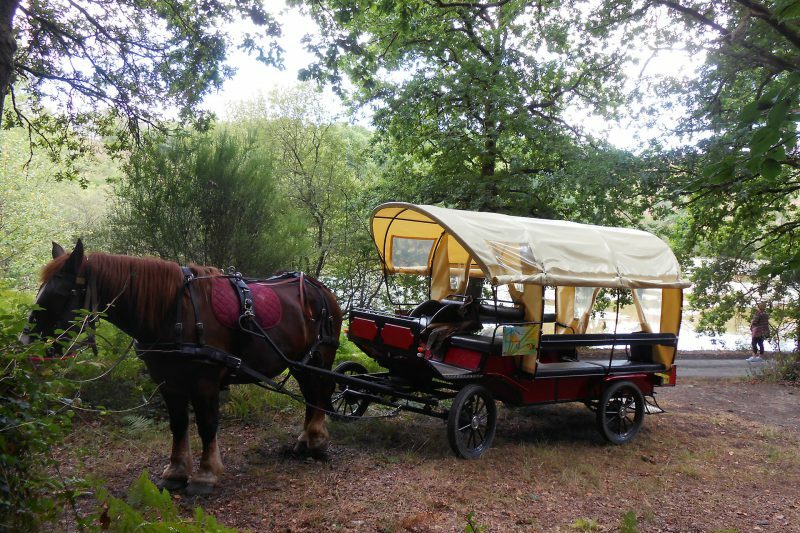 With Prince or Utopie, draft horses, Breton race , soft, strong and resistant. In carriage 8 places on every type of ground, or carriage 12 places covered, fitted for disabled people (possibility 3 people in armchair + 5 seated people). By following the country lanes, you will discover a manor house from the XIIIth century, pure nature in a green valley, fauna and flora. 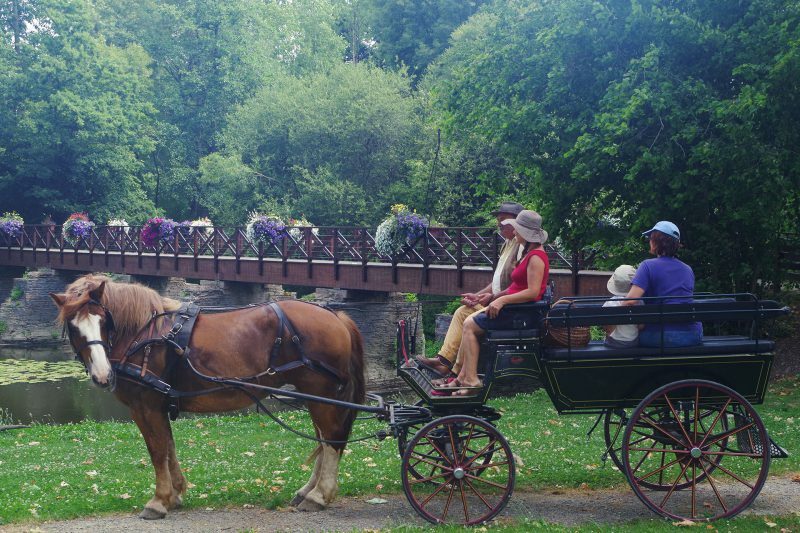 the history of Callac… A pleasant ride which invites you to come back for a longer stroll. Enjoy the discovery, then stroll with the goddess Dana by following the river Don. Flirt for a while with the Breton moors, among gorses, golden brooms and heathers . Admire a castle with a Celtic name of more than 1000 years of history. Experience the pleasures of the slow passing of time in the relaxing hours in the carriage. 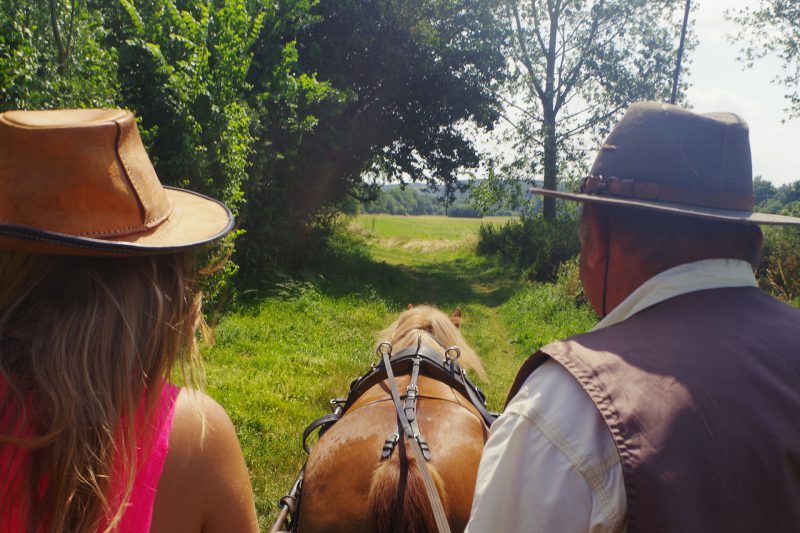 Share this lifetime of enjoyment with yours friends, your family, discover the local heritage and the picturesque Don valley, Have a delicious outdoor meal near a magnificent lake. .See and feel all the originality of the Brittany in our poetic landscapes with its moors and legends . Listen to the secrets and mysteries of the beautiful country of Guémené-Penfao told by Michel, throughout an unforgettable day ( 10 h 30 a.m – 17 h 00 p.m). Groups Tour. We provide a personnal service for group trip : persons living in a center for disabled, senior center … Ride with an adapted carriage (3 persons in a wheelchair + 5 persons seated in a seat), on site possibility to have a meal at the terrace, access to a covered room and toilets . 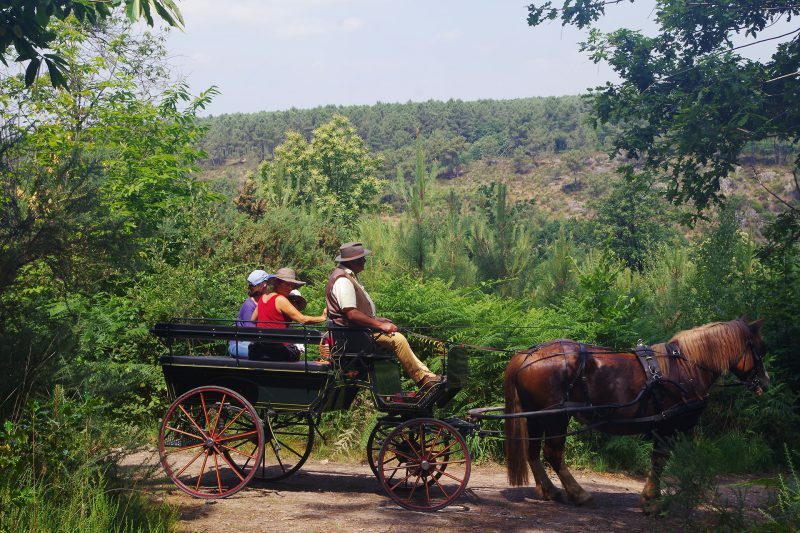 The guest house ” Les Roseaux de Callac” and its carriage are recognized by the label “Tourisme et Handicap”.